Happy Quilting: Mother's Day Giveaway Celebration!!! That got me thinking, I am sure there are lots of you just like me who have a list of quilty goodies that they would love for Mother's Day and how fun would it be to make some of those lists a reality. I chatted it up with my amazing Sponsor Shops (see shops below) and here it is, the Mother's Day Giveaway Celebration!!! Pop around to one, two, or a few of these shops and find some of your favorite things that you would love for Mother's Day. Then, come back to this post and leave me a comment of what you found and where you found it. You can write it out or just leave a link. You will have until Sunday night to get your "wish list" commented to me. Starting Monday the 5th, I will be hosting giveaways each day until Saturday the 10th that will feature the favorite items from your wish lists. That's right, you get to pick the giveaways!!!! So what's on my Wish List??? Well . . . I had to start with some books. 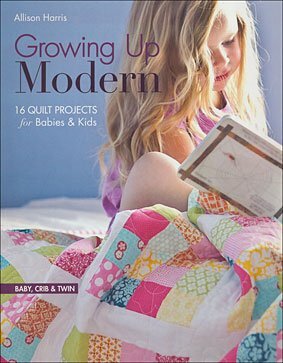 Somehow I missed grabbing a copy of Growing Up Modern by Allison Harris and I found it over at Rustic Rooster Quilt Shop. That is for sure on the list. And of course, I had to add some fabric to my wish list. I mean how could I have a wish list that didn't include fabric. The Christmas lines are coming out and I love the new Solstice by Kate Spain. The Layer Cake at Cotton Bliss is totally on my list. And I found this Mystery Bundle at Missouri Star Quilt Co. I have never ordered a Mystery Bundle before but think it would be so fun to be surprised by the fabrics that arrive. And I always love a good custom Bundle. I found this lovely Lime and Aqua bundle at The Scarlet Thread Quilt Co. and had to have it round out my list. So now it's your turn to make a Mother's Day Wish List!!! win what's on your list!!!! I am so excited for this Celebration of Mother's in our little quilting world. I hope you will join me in this celebration and have fun making a list :) **Just a little extra umph, If you make a list, you will have a little bonus in the giveaways next week :) I can't wait to see what is on them!! I'd love some of Joel Dewberry's True Colors from Intrepid Thread, Ansonia by Denyse Schmidt from the Fat Quarter Shop and some wonder clips from Southern Fabric! I love the tutorials at MSQC! Thanks for the great opportunity for the cool giveaway! Have never heard of the Intrepid Thread--am headed over there to check it out! Thanks, much! What a fun idea!!! I totally am in need of some more clover clips (LOVE them) and I have been eyeing the Great Granny squared book too! I'd also love some waterfront fabric from the Scarlet Thread Co. I'd also love some Aurifil thread from the Rustic Rooster, a Lucky Penny or Sunprint bundle from Intrepid Thread. Phewsh...I sound greedy. ;) Thanks for the chance to win!! 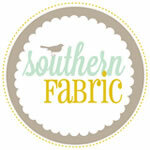 I also love Southern Fabric's scrap bundles by line. Neat way to get just a bit of a particular line that you like but don't want huge pieces of (but don't want a charm pack with all the same sizes). Just a few things?? I'm off!!! I was a good girl...only one item from each sponsor shop!!! This was fun...love to dream! Thank you!!! My wishlist... obviously it is just fabric :) because I like tools but I love fabric ;) in bundles! Ok, I have to stop now because otherwise I will be too tempted and I may end up buying some fabric and right now I am on a fabric diet! thanks for the fun giveaway!! My wish list includes a fat quarter bundle of Color Me Happy and Mormor! 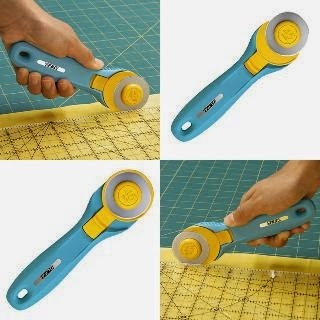 And the aqua rotary cutter! I borrowed someone's blocLoc at a retreat for HSTs. I would definitely get one of those from Intrepid Thread. (Might have to if I don't win.) I'd get a quilt happy color dipped mug in purple from Rustic Rooster and a dottie layer cake from Green Fairy Quilts. 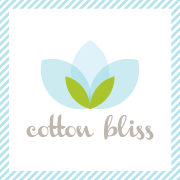 True heaven would be an Aurifil cone from Cotton Bliss. I would love some of the new fabric that I haven't had a chance to pick up yet, like Snowbird. Well letting loose in a quilt shop Aurifil Thread from The Fat Quarter Shop,rulers from the Missouri Quilt shop and while I was there I bought a digital copy of their Block Magazine. Some April Shower fabric from Cotton Bliss or Southern Fabrics to name a few. That was fun and now I have a wish list for DH. Thanks for the chance and Happy Mother's Day to you! What a fun idea! I figured links would be the easiest way to do this! I'm really craving fabrics right now apparently! Here's my wish list. Intrepid Thread has the lovely Widescreen Backing from Carolyn Friedlander. I saw some notions I'd like to try from the Rustic Rooster, Best Press Starch and the Seam fix Seam Ripper. Southern Fabrics has the lovely April Showers jelly roll. The Fat Quarter shop has a great selection of Jo Morton fabrics. 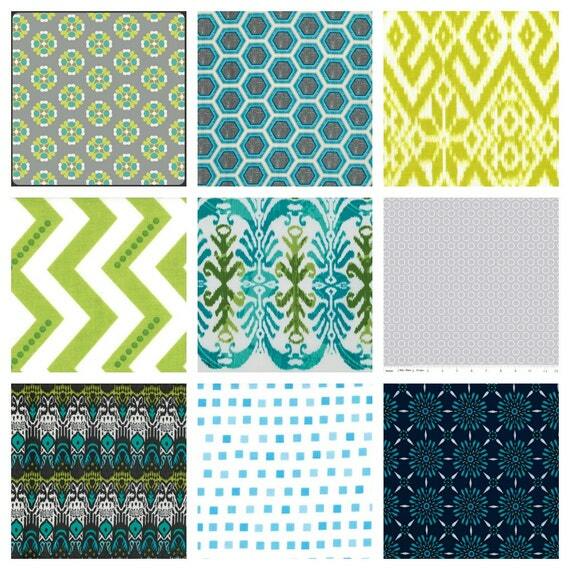 I'd love to have the Surf and Turf fat quarter bundle from Fort Worth Fabric Studio. Green Fairy Quilts has the Karen Kay Buckley Perfect Scissors that I would like to try. Cotton Bliss could help me piece everything together with the Simplify Aurifil Thread kit. I could add to my stash of Amy Butler fabrics from the choices at the Scarlet Thread Co. And Missouri Star Quilt Co. has the Sidekick Ruler that I've had my eye on. I would be happy with Baci Grey's 25th and Pine from FQS. 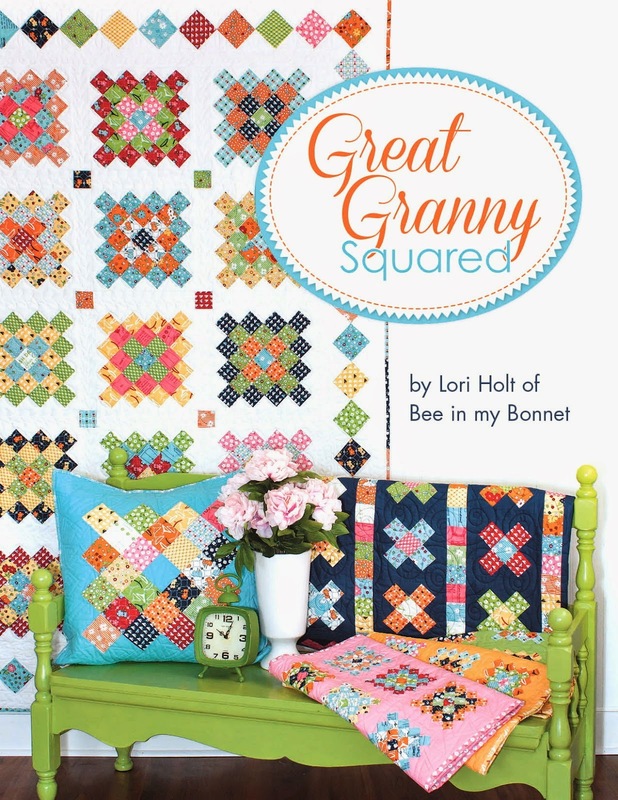 Also have my eye on Lori Holts Granny Square book. My list is short but expensive. I Mac computer. We use Linux and it is compatible with just about nothing. I really want the Mac so that I can use the silhouette software. Happy early Mother's Day. Oh wow! My favorite shops!!! I started at Missouri Quilt and found Aneela Hoey's Hello Petal Layer Cake. Then to Rustic Rooster Quilt Shop where I also found Allison Harris' book , Growing up Modern. Love the cover quilt! So this is sounding repetitious but at the Scarlet thread I found a fat quarter bundle of Posy by Aneela Hoey!!! Fabulous!!! Tools tools tools... The Fat Quarter Shop has the Flying Geese Ruler by Bloc Loc, already mentioned I know, (Bloc_Loc 3" x 6" Flying Geese Square Up Ruler) Love Flying Geese. And at the Intrepid Thread, brand new and ready to thrill my soul, Dreamin' Vintage Fat Quarter Bundle in Tickled Pink by Jeni Baker. So there it is. Any one of these items would be fabulous. No really! OH, I could make such a long long list! Just for starters, I love granny square quilts and would love the Great Granny Square book from Fat Quarter Shop. I'm also quickly sewing through my stash of solids -- loving the bella solids rainbow fat quarter bundle at green fairy. (and took a peek at the Avant Garden linen fat quarter bundle while I was on the green fairy site, so cute!). As much as I would love to tell you all the things that I would love on Mother's Day that were related to quilting/sewing, all I really want is to have my family together. My son and his wife are expecting twins in October and I am overjoyed (as is the whole family) so that's what I am concentrating on. What a fun giveaway! Just too many things to choose! As I looked at the shops, I started blurring that line between what I "would love" and what I need. So all I'm gonna list are the two Bloc Loc Flying Geese rulers I keep forgetting to buy. The 4 x 8 or the 3 x 6. I know The Fat Quarter Shop has them - they have everything! Thanks so much! Wow, that was fun and hard at the same time! I'd love some of those Just Pins from Rustic Rooster and several of the shops have those wide backing fabrics that I would like to have. This giveaway has me tickled! Several of your wish list items I am buying this weekend, like mids lol. 2. FT Worth Fabric- Sewing machine cover kit. 6. Green Fairy Quilts - Giggles Quilt Kit. I would love more, but having trouble pasting right now. all of these shpos are wonderful!! 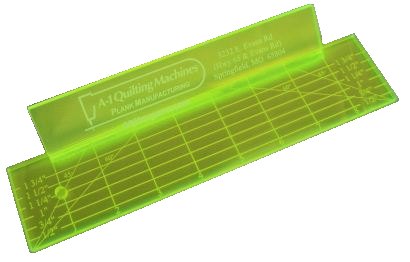 rulers for machine quilting would be great too. aka kingcooper0001@aol.com....who is going to B&B Friday! Fat Quarter Shop-Simple Whatnots Miniature Quilts Club by Kim Diehl and Henry Glass Fabrics-My favorite item on my wish list! Thanks for letting me dream. It was fun to pick out items. Green Fairy Quilts - Karen Kay Buckley Perfect Scissors - 6"
Intrepid Thread- I love Gnome Living FQB. Green Fairy Quilts- Winterlude honey bun. http://www.fortworthfabricstudio.com/shop/product/P6394/ because who wouldn't want to make this cute irish chain?! http://www.fatquartershop.com/bee-my-honey-fat-quarter-bundle I adore this line...there are great fussy cutting opportunities, and fabulous basics, and the best quilt backing opportunities ever. Rustic Rooster - Elizabeth Patchwork Quilt Pen - so cute! So many goodies out there! Mystery bundles sound cool. Lock block sounds fun, though a little frivolous for a dabbler like me (though I would take it if it were free!). My wants: batiks like a jellyroll of this http://www.missouriquiltco.com/shop/detail/18111/robert-kaufman/lunn-studios/artisan-batiks-texture-study-2-jelly-roll. From the Intrepid thread I would like some Mint to be in both the orange and mint colorways And some Thesaurus because words are awesome. And apparently some black and pink like this http://www.intrepidthread.com/shop/Fabrics-by-Manufacturer/Westminster--Free-Spirit--Rowan/p/Ansonia-Half-Yard-Bundle-in-Mushroom-x2937286.htm but I’m getting out of hand. I like lots of the ITs half yard bundles. You can do so much with ½ yard bundles, ya know? From the Green Fairy I would like some Bartholomeows reef in a Jelly roll. Never worked with them but I think I should. A disco quilt kit from the FQS. Oh, and some Gather Round kits from them too. Cute and fast, that’s what I need. And just because it’s the last one I would get the Primary Space Quilt kit from Fort Worth. I could go on and on but I think you get it. Mostly I just want the fabric, but if there is a kit involved so I don’t have to go hunting for a pattern it’s even better. The tools are that’s important when I have so many tools for so many other hobbies already cluttering my spaces. But oh wait! I looked again and I think I need THREAD! Like this bundle http://www.shopcottonbliss.com/Simplify-Aurifil-Thread-Kit-Large_p_23.html it looks like a good beginner’s thread bundle, right? I would love the Granny Square Quilt book by Lori Holt, the 8.5" Half square triangle BlocLoc Ruler from Intrepid Threads, Bloomin Fresh Jelly Roll from Red Rooster fabrics, Fleurology jelly roll from Missouri Star Quilt Company and 3 yards of Scandi leaves forest yardage from the Norwegian Woods Too collection, also from Missouri Star Quilt Company. I love the Hedgehog Haven and Color Me Happy in Blue and Green from Intrepid thread. Oink-a-Doodle-Moo collection from Missouri Star Quilt Co.
Love making baby quilts so any fun fabric or pattern would be a nice addition. Thank you for this giveaway. and doesnt everyone need Michael Millers'Orange/Green Ta Dot Fat quarter bundle from Forth Worth Fabric Studio? Thanks for the chance to browse and do some wishful thinking. I am easy to please. Intrepid Thread has some of the best bundles like Tangier Ikat Fat Quarter Bundle in Cool, then Fat Quarter's Granny Square and Missouri Quilts Kona Solid. Any or all would be wonderful. Then just a phone call from my kids and Grandkids will be just fine with me. I could haves a list a mile long, but I'll simply say, any fabric and a ton of rotary blades. Patchwork Pens at Rustic Rooster - I love the pens, but wouldn't buy for myself. Perfect gift! I've ha d fun dreaming of what I would like on my list! I would also like to own the rulers from Green Fairy and the Intrepid Thread. The Sew Just pins at Rustic Rooster are adorable and so is the sewing machine cover kit at Fort Worth. I'm still kicking myself at not jumping on the MO Star deal of the day, so I have to put the Wacky Web ruler and papers on my list. 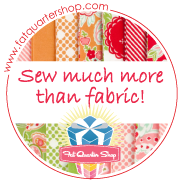 I don't need to add to my fabric stash, but some Kaffe's from The Scarlet Thread, and A Quilters Garden in rain from the Fat Quarter Shop, as well as a bundle of Muslin Mates from Southern Fabrics would fit in somewhere! Lastly, who wouldn't love a Simplify set of thread from Cotton Bliss? I've had such fun doing some "window shopping"! Here are some favorites: Bloomin Fresh layer cake from Southern Fabric, Bloc-Loc rulers from Intrepid Thread, Mixed Bag - Fat Quarter Bundle from Southern Fabric, Botanics - Stems in Ash from Intrepid Thread, Family Tree FQ bundle from Green Fairy, Low Volume FAT QUARTER BUNDLE from FWFS, Denim & Coral Batiks Fat Quarter Bundle from FQS, Solstice layer cake from Green Fairy, Petal Pinwheels by Michael Miller from Intrepid Thread. Thanks for offering this fun giveaway! But sadly... my grandmothers clock (I proudly own) stopped two weeks ago and my mothers day gift is my husband getting it fixed! I want some Solstice too! * http://www.shopcottonbliss.com/Bee-My-Honey-Charm-Pack_p_314.html# I've never seen this charm pack before, and I know that a special someone (my sweet son who is a budding botanist and nature lover) would like a quilt made from this! *http://www.missouriquiltco.com/shop/detail/15309/kansas-troubles-quilters/-/five-dime-ruler & http://www.missouriquiltco.com/shop/detail/16442/kansas-troubles-quilters/-/spare-change-ruler Because I am a HUGE KT Quilters fan, and I have her book and some KT fabric, and really need these rulers to make some awesome quilts and housewares! * http://greenfairyquilts.com/catalog.php?item=3019 (4 if possible) I have 4 placemats ready to bind in this exact fabric (I cut the charm packs down to 2.5 in squares), and I really need more fabric to make 4 more since my table seats 8. *http://www.etsy.com/listing/154401523/wool-needle-ll-flannel-moda-charm-pack?ref=shop_home_active_8 Because I just love the warm, old-fashioned look of these fabrics! *http://www.rusticroosterquiltshop.com/shop/Fabric/Moda/Plum-Sweet/p/Plum-Sweet-2730JR-x3152900.htm I fell in love with this line a few months ago when Moda had their Designers Blog Hop! Love me some Blackbird Designs! * http://www.intrepidthread.com/shop/Half-Yard-Bundles/p/Mint-To-Be-Half-Yard-Bundle-in-Orange-x2523793.htm Our beloved son Ethan, who is now with Jesus, adored the color orange, and so...orange holds a dear spot in our hearts. :) I can see an "in memory" quilt made with this fabric. * http://www.fatquartershop.com/simplify-small-aurifil-thread-box What quilter or sewer doesn't need thread? And I adore Camille and her mother Bonnie's fabrics! Thanks for the great giveaway.. Some Aurifil thread from Cotton Bliss would be great. From Fort Worth Fabric Studio - some Simply Color fabric for the backing on the quilt top I just finished. Little Black Dress 2 from Southern Fabric would be nice. Some Riley Blake fabric from The Scarlet Thread Quilt Co.
What a nice giveaway. Three sponsors I've shopped from before and 6 new ones to add to my list:) thank you all for the opportunity. Missouri Star Quilt Co.- Sylvia black and white FQ bundle or a yard of Kaffe's Ombre Purple. This was lots of fun! And I picked all things I can use on projects currently in progress! I'll save this list for my family:) Thanks again. OH!!! This is so much fun Thank you! Good Lord, it is like you were reading my mind! I would love Solstice and BlocLoc Rulers (rectangle-have you seen Lily's Quilts?) and any fabric bundle from anywhere would be very much appreciated. Books are always on my list and I would like Gwen Marston's new book. Waterfront Park fabric from the Intrepid Thread, Moda Indigo Crossings Fabric from Rustic Rooster and Afternoon Deligh Fabric from The Fat Quarter Shop, actually just about anything I don't think you can ever have too much fabric, thread or supplies for quilting. April Showers layer cake from Green Fairy Quilts, Dottie layer cake from Fort Worth Studio, the BlocLoc Rulers, pretty much anything Bonnie and Camille from Fat Quarter Shop (or anywhere else! ), and a spinning 12" rotary mat from Missouri Star Quilt Co. What a fun idea! Um, I would like moar fabric! I have shopped at every one of these shops before, lol. I love getting fabric in the mail! From Missouri Star Quilt Company I would have to get the Hexi or more ruler. From Southern Fabric I would order Kate Spain's Daydreams half yard bundle. I need this for a quilt I'm making. With a little extra. Fat quarter Shop , some Pepe in Paris fabric. From Green Fairy Quilts, Judi's book "Quilting Wide Open Spaces"
I love batiks & found wonderful Hoffman Bali precuts at the Fat Quarter Shop, Fort Worth, and MSQC. Not fussy - any shape or any color - heart them all. Also saw a 60 degree ruler I've been wanting at the FQS. And of course any Mystery bundle from MSQC would be welcome. From Green Fairy Quilts, Moda Fat Quarter Bundle "Snowbird Batiks"
I sure hope I got all of this straight. That was fun!! Thanks for the chance!!! Happy Mother's Day to you also!!! Wow, so much good stuff to choose from. Maybe a gorgeous FQ bundle of Summer Vacation Batiks from Green Fairy Quilts? I would love to have a fat quarter bundle from any of these shops. Thanks for the chance. I'd love a bundle of the newest AMH fabrics that just came out, especially the coneflower fabric in green. Here is my wish list. 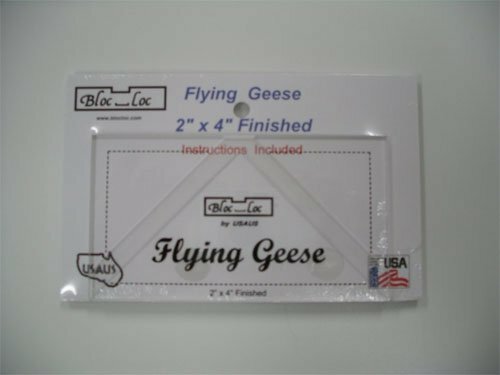 I too would love to get the Bloc Loc flying geese rulers from Intrepid Thread. I have read about these and they sound awesome. From Cotton Bliss, I would love to get some yardage of several of the prints in the Wishes line. From Southern Fabric, I would love the Simplify Aurifil Thread collection. From Fort Worth Fabrics, the True Grips that keep your ruler from slipping would be wonderful to have. The Intrepid Thread - Mint To Be Half Yard Bundle in Orange. Rustic Rooster - Moda Over the Rainbow Batiks charms. Southern Fabric - Dream Days Fat Quarter Bundle. Fort Worth Fabric Studio - Posies BATIKS Half Yard Bundle Robert Kaufman. 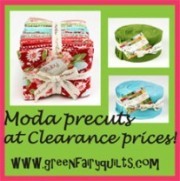 Green Fairy Quilts - Moda Fat Quarter Bundle - Summer Vacation Batiks. Cotton Bliss - Solstice Fat Eighth bundle. The Scarlet Thread Quilt Co. - Breezy Batiks Charm Pack. Missouri Star Quilt Co. - Stonehenge - Jelly Bean Batiks Layer. What fun to window shop!! What an awesome giveaway. Thanks sew much for the chance to win. Here is my wish list. Really I have a lot more but not enough time to list it all, thanks for the lovely giveaway! This was fun Melissa and such a good idea ! Hi and thanks for the Giveaway…I could sure use some Riley Blake Basic Solids from Rustic Rooster, Some Moda Solid Gray from The Scarlet Thread and I love April Showers Layer Cake from Cotton Bliss. Oooh, found a couple of new places to drool at! Intrepid Thread: Flyboy and Storybook Yardage! Rustic Rooster: Adornit Crazy for Daisy Yardage, Teal. And Aurafil. Always! Southern Fabric-Joel Dewberry FQ Bundle in Heirloom Ruby! And Rocket Age FQ Bundle too! What a fun giveaway! I totally enjoyed visiting the websites for your sponsors. It was fun looking for items that I would love to be gifted with. You have some awesome sponsors.Who knows, maybe my sons will find my list and surprise me:) Thank you for a fun shopping experience! Thank you, Melissa for a fun giveaway! Hope you have an awesome Mother's Day! Fort Worth Fabric Studio- Trendy Bella Charm Pack Group- what a cool idea! Fat Quarter Shop- Disco Quilt Kit or Botanics Thread Box- doesn't matter what size- I love thread! Cotton Bliss- 5 yds of Moda Wishes fabric to back my quilt, especially Doilies Multi! The Scarlet Thread- Round and Round Kit with aqua background- how it pops! 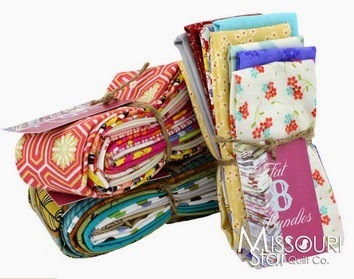 Missouri Star Quilt Co.-Botanics Fat Quarter Bundle- on sale! I shop at several of these places but liked getting to know a few new ones! i've always admired the special bundles at Fort Worth Fabrics http://www.fortworthfabricstudio.com/shop/product/touch_of_summerFQB7/ , the pinks and greens are so pretty. How about a quilt kit for Christmas? And some Aurifil thread would be very handy. I love the fall print at Missiouri quilt company - http://www.missouriquiltco.com/shop/detail/18402/benartex/cheryl-haynes/harvest-song-fat-quarter-bundle Thanks for the opportunity! From Intrepid Thread I would love Jeni Bakers Dreaming Vintage fat quarters. From Fat Quarters Shop the Pam Kitty Morning fabric- any kind. From Missouri Star the Riley Blake Chevron fabric. Happy Mothers Day Melissa and thanks! Since I usually don't get anything for Mother's Day, so this was fun! I love these giveaways for mother's day! Thanks a bunch! Lime and Aqua Fat Quarter Collection at Scarlett Thread Co.
Where did the weekend go? Except for the books and adding more fabric from every store I love your list. Maybe I can just borrow your rulers? I can't wait to spend more time on each of these sites. Every holiday was a crafting bonanza with my mom! We were very poor but never noticed as the special times meant clever projects with cotton balls, sticks, glue and bits of fabric. I am sure it is why I cannot throw away even bitty bits of scraps. The time together, singing and creating and my mother complimenting all of our art is a dear part of growing up for me! And the Granny Squares stuff! Fort Worth fabric - well just made an order for more fabric and would love lots more! Chance of Flowers fabric from Rustic Rooster is very cute! It's not hard to choose something wonderful from every sponsor! What fun to browse through those shops! I found: daydreams FQB in ink by Kate Spain from Intrepid Thread / le bouquet francais Layercake by French general at rusticrooster quiltshop / 5" charm pack tumbler template at Missouri Quilt Co. / Quilter's garden FQB by Lynette Anderson at FQ Shop/ La Fete de Noel FQB by French General at Green Fairy quilts/ Art to heart Hohoho, let it snow patternbook at rusticroaster quilt shop / and I am totally in love with the 108" quiltback fabric Henry Glass Skyblue at scarlettthreadquilt etsy shop.! You said dream, so I did, lol! So hard to pick! - From Discover Fabric, the Andrea Victoria Fat Quarter Bundle in Aqua, or from Green Fairy Quilts, the Moda Layer Cake Bee My Honey. Thanks so much! I am starting to collect red, white & cream for patriotic quilts. I would really love to have the charm pack from Missour Star Quilt Co. http://www.missouriquiltco.com/shop/detail/19332/northcott/northcott-fabrics/artisan-spirit-shimmer-multi-charm-pack. Thank you very much. I've sent stories about my mother by using Reply to the e-mail. Was that completely wrong? Should I resend them to this site? My list would include some of those bobbin washers I see Leah Day go on about, I like that book about quilting wide open spaces. Any kind of batik fabric. My wish list includes FQ bundle of 10 FQ of Glass Slipper roses from Intrepid Thread;a Sugar Hill FQ bundle by Tanya Whalen and a Sew Stitchy layer cake from Scarlettthreadquiltco; and a FQ bundle of Le Bouquet Francais from southern Fabric. My mother loved to read. Thanks again...and Happy MOther's Day to you as well. I wrote notes, but forgot this part. Any fabric would please me; they all look beautiful. I'm kind of house bound so don't get out to look and touch as I'd like. Any of the fabrics would be wonderful. Fabric is always wonderful to look at, feel and plan what to do with it..love French General and Bonnie and Camille ranges..new tools are great and Looking around there are lots that I haven't seen before like the Bloc Loc rulers, and good scissors and rotary cutters and thread to use are always on my lists , such a great array of lovely goodies available at the websites. My wish list. Color Me Happy by Vanessa Christenson from Intrepid Thread. A jelly roll - Woodland Summer Batiks by Holly Taylor from Moda. 30's playtime fabric from Missouri Star Company. Chance of Flowers fabric by Sandy Gervais from Rustic Rooster. I need to get a new rotary cutter because I broke mine so it would be a lovely surprise to win a Olfa Splash cutter. Thank you Melissa for a chance at winning a prize. You are such a sweetheart for posting these posts. I hope you have a beautiful, loved filled Mothers Day. I would love the Wacky Web starter kit from my favorite site MSQC so I can make a quilt from their 1st Block bookazine. I love the fabrics, need more stash!